The playground at the Viking Village is entirely unique. 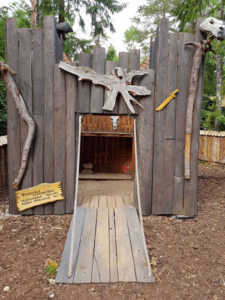 It is equipped with wonderful forts, a stone-lifting mechanism, a Viking ship on ‘stormy seas’, a witch’s hut, a log lifter, sandbox, swings and a number of other attractions for children to play and climb around on. There is also a shelter with benches where visitors can rest their legs or celebrate birthdays or other occasions. For such occasions, we recommend hiring our playgroup leader who will look after the children and organise various interesting games. The shelter can accommodate up to 20 people. 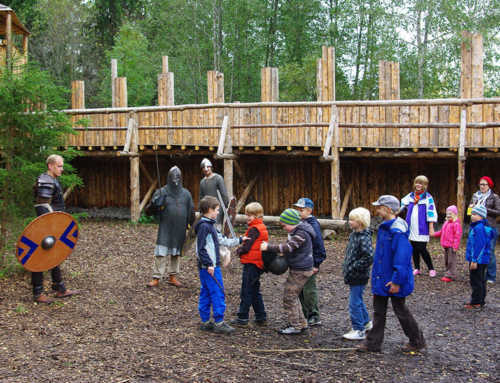 While in the playground, parents are advised to keep an eye on their children, because the parents are solely responsible for their kids at the Viking Village. The Viking Village shall not be liable for the safety and security of any children left unattended! Access to the playground is FREE OF CHARGE. 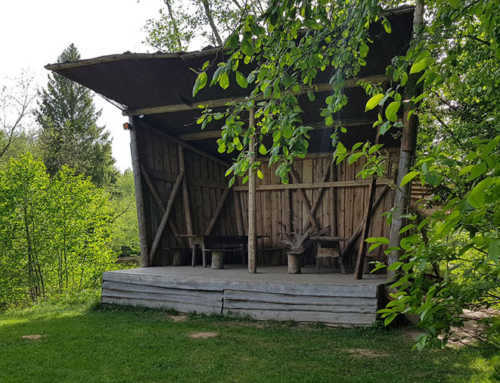 The reservation fee for the playground with the shelter and a grill (please bring your own charcoal and other supplies) is Mon–Thu €35/h, or €30/h with our loyalty card, and Fri–Sun €55/h, or €50/h with our loyalty card. Treasure hunt on a Viking ship with a demonstration of ancient weapons and armour.